In his classic work, life- long Presbyterian and former pastor Jim Angell tells what it means to be a Presbyterian. 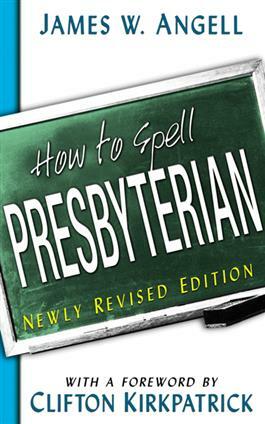 This readable, accessible book is divided into six parts--key ideas, commitment, witness, order, discipline, and covenant--and includes a handy glossary to commonly used Presbyterian terms. Now updated with the most recent statistics and polity information, this is an ideal book to give to new members, confirmation students, and inquirers in PC(USA) churches.